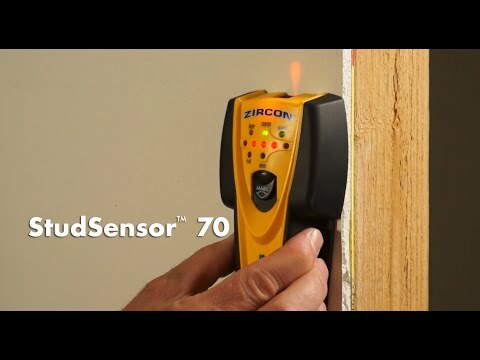 StudSensor™ 70 quickly and easily locates the center and edges of wood and metal studs and joists behind walls, floors, and ceilings. Patented CenterVision® technology finds the center of studs in a single pass. A built-in erasable wall marker allows for one-handed operation. By entering your email, you consent to receive Zircon messages.